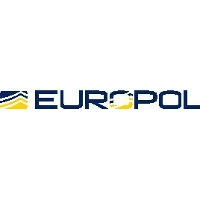 The European Cybercrime Centre (EC3) at Europol warns about security risks related to the end of Windows XP support. After 8 April 2014, Windows will stop supporting its Windows XP operating system. This means that from that day forward, security vulnerabilities will not be fixed, leaving computers potentially vulnerable to attacks. Since Windows XP is still the second most popular operating system in use, the number of potential victims is cause for serious concern. Therefore, the EC3 advises Windows XP users to upgrade or change their operating system before 8 April. Whenever Microsoft releases security updates for supported versions of Windows such as Windows 7, attackers will reverse engineer those updates, find the vulnerabilities and test Windows XP to see if it shares those vulnerabilities. If it does, attackers will attempt to develop exploit code that can take advantage of those vulnerabilities on Windows XP. Since a security update will never become available for Windows XP to address these vulnerabilities, antivirus software will not provide full protection.